Every day, Coast Guardsmen display the core values of Honor, Respect, and Devotion to Duty--but for one month a year, members of Team Coast Guard shine a special "Spotlight on Leadership." 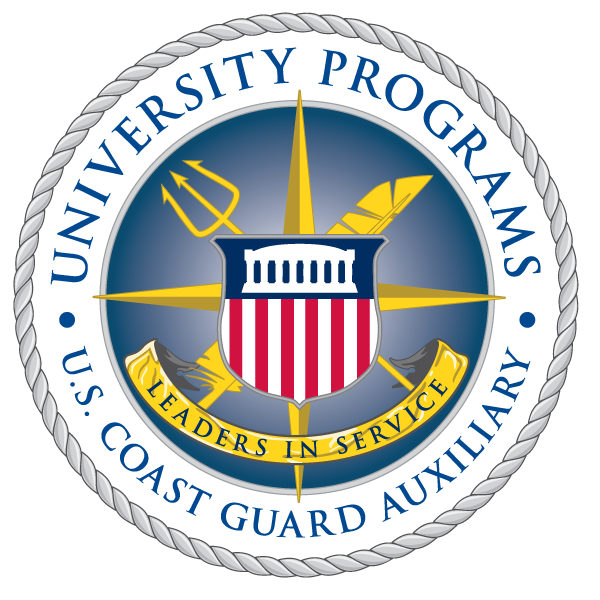 This campaign is designed to give "the opportunity Coast Guard-wide for units and personnel to focus on leadership development and recognition" by focusing on the Coast Guard's core values and 28 Leadership Competencies. "While leadership is an important topic everyday, a concentrated effort to focus on development and recognition can pay of with a return on investment well into the future." Each week of the campaign focused on one particular leadership competency. This year, many Coast Guard units worked through a campaign guidebook to develop competencies in Accountability and Responsibility, Influencing Others, Decision Making and Problem Solving, and External Awareness. Over at CGBlog.org, Andrew Welch discussed the "Spotlight on Leadership" campaign and how former student Auxiliarists from the university detachment at The College of William & Mary have carried on their lives of service. Although April's "Spotlight on Leadership" has come to a close, as members of Team Coast Guard we strive daily to practice the core values of Honor, Respect, and Devotion to Duty, and to display the leadership for which the U.S. Coast Guard is famous.